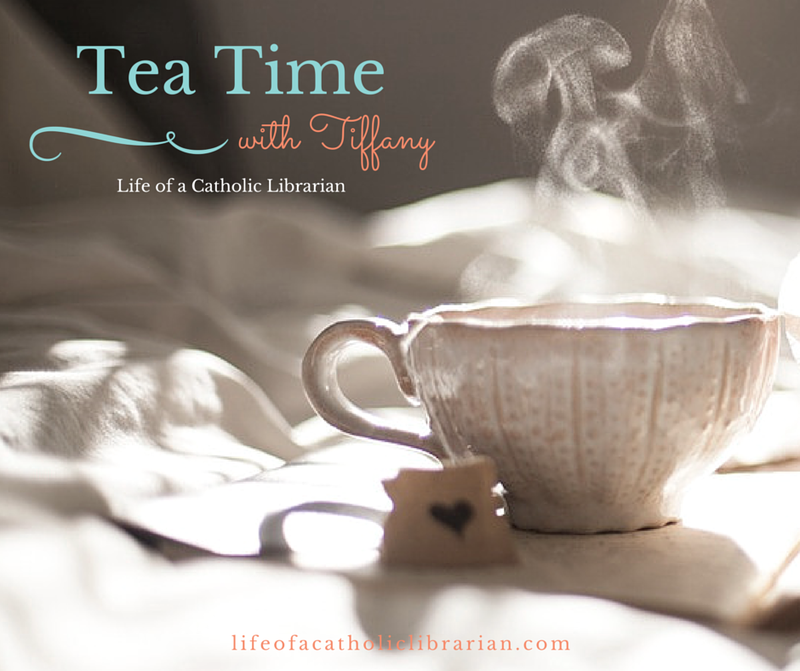 Life of a Catholic Librarian: Tea Time for Advent 2017 - Episode 3! Today I gab about how our Advent is going, Christmas baking and traditions, and of course lots of book club talk. Join me! The Christmas Quilt, our Advent choice for book club. The first book in the Elm Creek Quilts series is The Quilter's Apprentice, and here is a search for the series in Amazon so that you can purchase others if you'd like to read more! Whoa. Now I *really* want to go back and read the entire series! Next week we finish up and read Chapters 4 and 5! Let me know your thoughts on Chapter 3 below, or over in the thread on our Facebook group! 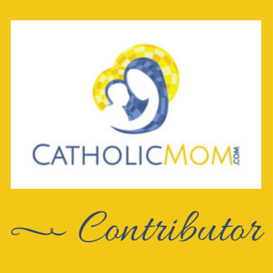 Really loved your insights on this chapter. It hadn't occurred to me how The Christmas Quilt became a symbol of inadequacy for both Claudia and Sylvia - but, after you mentioned it, that makes a whole lot of sense. To me, this was a really dark chapter. In fact, I think I read it as being quite a bit darker than others, namely that Andrew was being abused at home. At his first appearance, I think Sylvia notes that he had bruises on his arms. Also, when Sylvia's father asks the children if any of them broke the star or took it, it's mentioned that Andrew looked terrified and Sylvia thinks to herself that pranksters would be harshly punished in Andrew's house. I don't know if that's the exact way she put it, but I got the impression that his home problems went beyond just poverty. Hopefully I'm wrong about that. On a happier note, I NEED to know what happened to the Christmas Star! I'm really captivated by that little mystery and hope there might be a resolution to it in the coming chapters. When Sylvia realized they should have gotten a gift for Andrew's sister, my immediate reaction was that maybe Andrew took the star to give to his sister as a Christmas gift. Not maliciously or anything, but just as the only way he could get his sister a gift. Obviously I was way off on that guess, but I do hope we find out what happened. Can't wait to finish up the book this week. oooooooooo! I hadn't thought about that angle for the Christmas star (Andrew gifting it to sister) but that does seem like an innocent possibility. Hum... I really hope they solve the mystery in the last 2 chapters, because I'm dying to know! Definitely a dark chapter. I felt very contemplative throughout. I did wonder about Andrew's home situation as well, especially Sylvia's comment about the fearful look on Andrew's face when he thought he may be accused of taking it or hiding it. :( I have started Chapter 4, and happily, we do hear from Andrew again! Are you thinking of reading other books in the series, Kevin? The list above of how all of the different titles fit together really has my mind whirling! This chapter didn't seem dark as much as the times during the depression. I'm a big Walton's fan and the times seem like the early years, especially in Andrew's family. My thought was Claudia hid the star to be mean. Hope I'm wrong! Reading the books in a certain order seems fun! I love the books set at the quilt camp, but I think I love the historical books best. Good chapter. That's my thought with the star as well! Having read a lot of this series, I'd say that as long as you don't mind spoilers for different things that come up in the lives of the characters, you can read them stand alone in any order that you like! The historical ones really are awesome. I am really liking this book though. I'm reading the audiobook version and the narrator is really good.